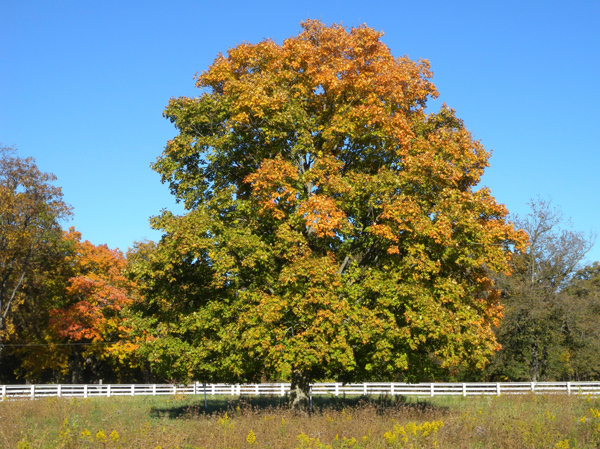 I cannot think of another tree with as wide a recognition to North Americans than the amazing native Sugar Maple. We love this tree, so much so, that it is the Maple leaf which graces the Canadian national flag, and the tree most people name first when asked which family of trees they like best. She comes from a big family as the Aceraceae have over a hundred or so species. We will most likely see a lot of early fall color on Maples, like the photo above, due to the drought stresses of this last year. It is the Sugar Maple that the aboriginal peoples of North America discovered had a sweet sap that we boil down to create Maple syrup. Ever wonder why real Maple syrup is so expensive? It takes 40 gallons of sap to create one gallon of syrup, and you can think of it as the life blood of the tree, because it is. I think of the Sugar Maple as the real Giving Tree. In fact Maple syrup was a daily food item for the First Nations throughout the centuries. It’s wood has been long venerated for it’s charcoal and wood craft properties. 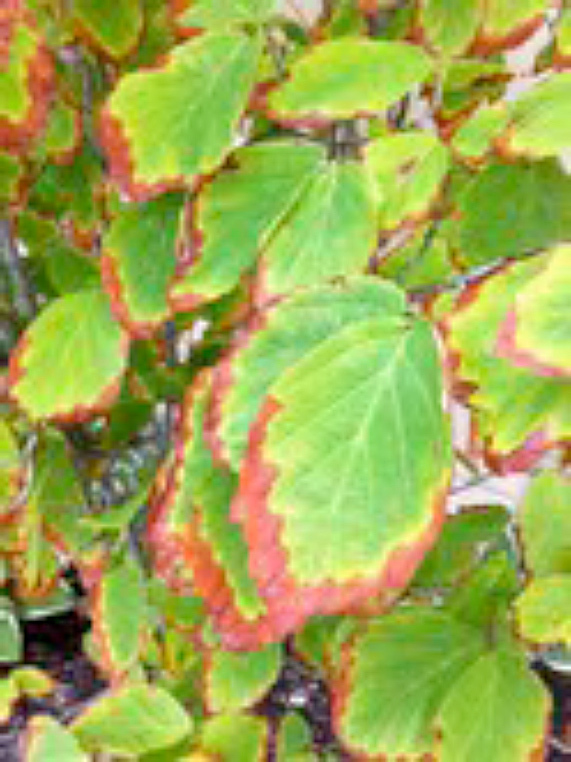 It’s medicinal properties are found in the bark, leaves, twigs and mostly the sap. The sap contains eight major bio-chemicals that are always in a constant proportion and as such become the identifying tracers for true Maple syrup. The first flow of spring sap in it’s raw form has long been used for its physic or tonic properties because of these bio-chemicals that act as a diuretic effect with a cleansing action to the skin and have positive effects to the spleen. Specifically, the compound α-furanone, has an antibiotic action and decreases cholesterol levels. It is the tree that keeps on giving long beyond it’s beauty and shade giving properties. 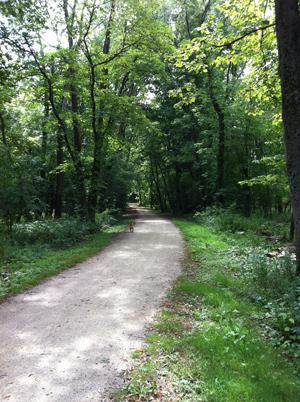 Walking through Half Day Forest Preserve in Lake County I notice that the trees are a deep dark green. The few grasses in the understory are green as well and the temperature is 5 degrees cooler than in the surrounding prairie even on a cloudy day. It’s so peaceful in the forest. Most of the trees elsewhere are in serious trouble from July’s continuing drought and blazing temperatures. Lesley and I see scores of trees that are being lost every day. This should teach us something about tree health. Trees are tribal. By that I mean that they are healthy when grown in a group with no grass under their branches. Trees in groups protect each other from the hot sun and drying winds. Their roots, always close to the surface, are shaded from evaporation and covered with natural leaf mulch that holds moisture and limits competition. This critical root zone can be 50 degrees cooler than an unshaded lawn. What the forest is telling us is that our own trees should be planted in groups with mulch out to the edge of the branch spread as they are at the Chicago Botanic Gardens. This is a simple thing to do even in a smaller garden but you must listen to the trees and reduce the amount of lawn beneath them. No mounds of mulch burying the trunks, they need natural forest leaf litter out to the drip line. Please refer to our Mulching Abstract on our website or call and ask for it 847-634 -7734. If you do this you will greatly reduce your need for an arborist. Oops! Maybe I shouldn’t be telling you this. Typical scorch symptoms on a WitchazelThe rains of the last few weeks have finally eased the drought, but only slightly. Our lawn that was the color of straw just 10 days ago is a beautiful kelly green this morning! Proof that grass is a drought tolerant species when managed properly. Trees are another story. We have seen more scorch this summer from the heat and drought than ever before! The drought has actually lowered the trees’ defense mechanisms by stressing their immune systems. We will see the effects of the 2012 drought for at least the next three years. Drought damage will express itself in the onset of disease and insect attacks that will now have a foothold due to the trees lowered defense systems. We will be watchful for early fall color this year and borer attacks in the near future. We will continue to remind our clients of the need for monthly watering and mulching. In spite of watering restrictions you can water your trees by setting a soaker hose on one tree at a time for 18-24 hours once a month or more often in the intense heat and drought. See our Watering Abstract for detailed information. The honeybees hanging out on the front porch in the heat.Even the bees are feeling the effects of the drought. I have to “water” my hives by providing supplemental water for them but they are such clever girls. They make use of even the dew in the early mornings and the cooler parts of the day. At night they “hang out” on the outside of the hive to help keep interior temperatures in the hive lower. It is so fascinating to watch. Our oldest son is getting married next month and we were able to harvest 4.5 gallons of honey that we used to fill 200 tiny jars as favors for the guests. Another sweet gift from the hives.